In an ideal world people would live long lives, never having to deal with illness or disease. We would eat naturally grown foods, drink the purest of water, and get plenty of exercise. There would be no need to see a doctor, as we would never get sick. Sadly this isn’t the reality we live in. We eat genetically modified foods designed to have a longer shelf life, steroid fed animal products to get the thickest cuts and heavily processes foods filled with chemicals and preservatives, all for the sake of convenience and getting the best bang for our buck. Sedentary life styles have become the norm, sparking obesity and subsequent disease such as diabetes and high blood pressure which have long term consequences. When it comes to treating and preventing such ailments, people often fall into two camps, the all-natural approach or the conventional method with the help of modern medicine. In today’s society we are seeing everything from health magazines to The Dr. OZ Show promote healthier living through the use of more natural alternatives. It’s this notion that makes natural remedies intriguing; seemingly boring everyday items hold a special secret. From “8 uses of Lavender Oil” to “Medical Uses for mushrooms” we are bombarded by people who swear by them, claiming it helps keep you healthy and living longer by choosing more natural alternatives. There’s no debating that modern medicine has been one of mankind’s greatest achievements, in fact before the popularization of antibiotics and vaccines in the late 20th century life expectancy remained relatively steady at around 50 years for both men and women, but since then that number skyrocketed with life expectancy being well in to the 80s today . That’s a difference of 30 years added to our lives! But the discrepancy lies in prevention of the health issues. When it comes to serious illness the majority would agree that seeing your doctor and getting pharmaceutical treatment is the best course of action, but when people face bodily issues that aren’t so serious, such as insomnia, migraines, or anything else not considered life threatening, they are more open to a natural approach to alleviating their symptoms. It’s an easier and more convenient choice as you can just walk into any drug store and pick up a remedy off the shelf inexpensively. The fact of the matter is that natural medicine is not studied well enough to be considered a practical alternative to more conventional and thoroughly studied treatment options. There are no standardized references compared to pharmaceutical medicines, meaning that there are no set dosing levels deemed therapeutic and you are only given recommended intake values. 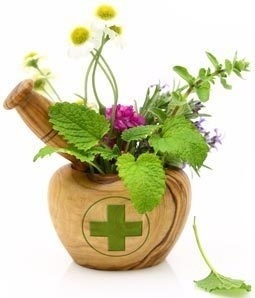 Most herbal formulations are often not analyzed by a governing body such as the FDA or Health Canada for effectiveness, but are rather focused mainly on safety of use . So theoretically herbal medication companies can say it treats symptom-X without any meaningful evidence supporting that, but as long as it is doesn’t kill you, they are allowed to sell it. They biggest advantage in people mind when choosing herbal remedies over medications cooked up in a lab is the perceived lack of side effects, and for the most part they aren’t wrong. When you can’t sleep sipping on a warm cup of camomile tea often gets the job done, while prescribed medications such as Lunesta or Ambien will achieve the same effect, but with a laundry list of potential side effects from dizziness to constipation . That’s not to say that all natural options come without side effects, Gingko Biloba a common herbal medicine advertised as improving cognitive functioning can actually increase an individual’s likelihood of spontaneous bleeding, St John’s Wort is promoted as a treatment for depression can cause GI distress, allergic reactions, dizziness and confusion. Also if you happen to already be on other more conventional medications as prescribed by a doctor, taking off the shelf herbal remedies like these in conjunction can cause therapeutic imbalances wreaking havoc on the body . While herbal and conventional medications both have their pros and cons, there’s no denying they have a role in your heath and wellbeing, but the question is when is it appropriate to utilize one over the other? The natural approach is familiar and accessible, while modern medicine can be confusing and often needs a doctor’s prescription to obtain. Natural medicine is focus on the long term, as dedication to the lifestyle promises sustained health as we age, while modern medicine is focused on the immediate, healing without the luxury of time, both with the ultimate goal keeping you healthy. 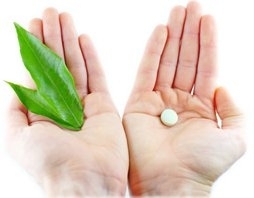 It is important to consult to your doctor or dietitian about any new herb or conventional medication you feel will benefit your health, as you every individual is unique. So which ever camp you fall in know this: not all medicine is bad, but not all medicine is good either, only you control what you put in your body and seeking the facts only benefits you in the long run.